Volvo Car UK are teaming up with Fleet21 to help reach their goal of no seriously injuries or deaths in a new Volvo by 2020. Alongside the business driver safety consultancy, Volvo hope to create a safer culture by tackling fleet driver behaviour – a contributing factor in more than 90% of crashes. As part of the partnership, the Volvo V40 – the safest car ever to be tested by EuroNCAP – will form the backbone of Fleet21’s new training fleet. – Compliance services, including organisational risk assessment, driver licence checks and grey fleet checks, as well as help with developing and communicating robust driver policies to educate the driver and protect the employer. – Improving driver skills, starting with a unique online driver risk assessment. The results allow risk managers to be much cleverer with their budget so they can target individual drivers with different programmes such as e-learning or in-car training, or tackle specific problems such as frequent speeding or poor observation and awareness. – Driver engagement, another key concern – meaning Fleet21 and Volvo will be running programmes aimed at capturing the hearts and minds of both business drivers and senior managers to help promote a lasting safer driving culture within the organisation. Last year 148 people were killed in workplace accidents, and most employers go to great lengths to ensure the safety of their employees. However, almost 2,000 people die each year on Britain’s roads, with around a third of these thought to be someone driving on business. Simon Turner, Managing Director of Fleet21, said: “While driver behaviour is a contributing factor in nearly all accidents, driver ability is often neglected by employers. 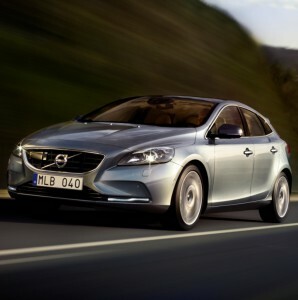 “Modern vehicle safety features can make a massive contribution to road safety and Volvo has always been a leader in this field so we at Fleet21 are incredibly excited to be working with them and using the V40 to fill this gap in driver safety by guiding, coaching and supporting employers in achieving ‘best practice’. “Together we’ll help employers develop the attitude, awareness and skills of their business drivers. Selwyn Cooper, National Corporate Operations Manager at Volvo Car UK, added: “Fleet21 has a passion for driver safety that perfectly complements Volvo’s ethos. “With employers under a duty of care, giving drivers this extra training and education is putting them in the best possible place when they get behind the wheel of their company car.